HOME BOOK SHOP!!! MENUS SERVICES ABOUT US OUR PHILOSOPHY REVIEWS PARTY HELP GALLERY VIDEOS WHAT'S HAPPENING? HOMEBOOKSHOP!! !MENUSSERVICESABOUT USOUR PHILOSOPHYREVIEWSPARTY HELPGALLERYVIDEOSWHAT'S HAPPENING? MAKE YOUR NEXT EVENT A DELICIOUS SUCCESS! Great food and amazing service is in our DNA. We strongly believe that delicious, fresh, locally sourced food (and impeccable service) can still coexist within a food business. One doesn't have to be sacrificed for the other. The heart and soul of what we do centers around our catering services. 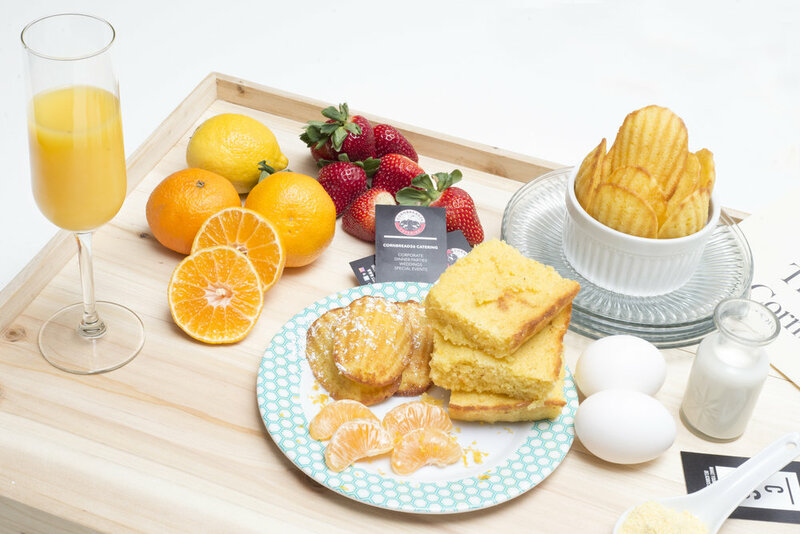 Whether you are hosting a private dinner party for 20 guests, a wedding for 150 of your friends & loved ones, or are just in need of some delicious bites for the office, CORNBREAD26 is here to make your next event a delicious success. We have the staffing for all of your event needs. From friendly and efficient Hosts, Hostesses, and Coat Check Agents, to superstar Servers and Bartenders, discover how we can make your next event a delicious success. CORNBREAD26's co-founders, co-owners, and food lovers Craig Baker & Claude Malone would like to formally introduce themselves and share a bit of their backstory in food and love. GET THE FULL CORNBREAD26 EXPERIENCE BY VISITING OUR STORES. GRAB OUR DELICIOUS, SOFT, BUTTERY, AND MOUTHWATERING CORNBREAD MADELEINES AT OUR CORNBREAD SHOP! STOCK YOUR KITCHEN WITH SOME OF THE COOLEST GADGETS, GIFTS, FOOD APPAREL, AND KITCHEN SOLUTIONS AT OUR KITCHEN SHOP! CHECK OUT OUR KITCHEN SHOP FOR THE COOLEST KITCHEN BUYS WITH FREE SHIPPING THROUGHOUT THE ENTIRE STORE! GET ADVANCE UPDATES ON NEW CORNBREAD26 SERVICES, PRODUCT LAUNCHES, AND EXCLUSIVE DISCOUNTS! WE RESPECT YOUR PRIVACY AND SANITY! SO WORRY NOT. WE WON’T HASSLE YOU WITH CONSTANT, ANNOYING EMAILS. WE ONLY UPDATE OUR VIP CLIENTS PERIODICALLY.